OLYMPIA, WASH. – Hospitality members didn’t let a snowstorm stop them. Nearly 100 Washington state hoteliers and restaurateurs trekked to the Washington Hospitality Association’s annual Hill Climb and Taste Our Best legislative reception on Feb. 6 in Olympia. With a full list of issues impacting Washington businesses in 2017, members passionately educated and built relationships one-on-one with legislators. The event was a milestone. It was the first time hotels and restaurants were represented as the united front of the Washington Hospitality Association. 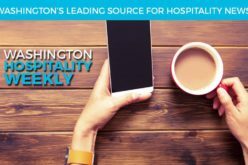 The Washington Restaurant Association and Washington Lodging Association joined to create a new association in October 2016. “The 2017 Hill Climb was more important than ever because the hospitality sector has rarely had to adjust to so many significant regulatory, wage and labor changes in such a short time frame,” said Anthony Anton, the CEO of the Washington Hospitality Association. “Because of these changes, we came prepared to offer innovative solutions,” he said. Solutions include supporting bills on teen wage, looping short-term rentals into state and local lodging laws and taxes, allowing the use of credit cards for alcohol purchases and reinstating a statewide tourism marketing program. Members, legislators and their staff members socialized at the Taste Our Best reception, held at the Hands On Children’s Museum on Olympia’s East Bay. A collection or more than 15 restaurants, breweries and wineries served guests with a variety of food and beverages, from ribs, to ahi tuna stacks to crostini bites. Legislators, hoteliers, restaurateurs and association staff sipped, savored and played their way through the museum’s many exhibits. “2017 Hill Climb and Taste Our Best was another great event that participants will be talking about for months to come,” Anton said. Learn more at the Washington Hospitality Association website and Facebook page to stay in the loop on the 2018 event.